I am always browsing Pinterest in the spare time I have (hah!) to look for things I want to try with my kiddos. Writing is one area I LOVE teaching. I was a creative writing major, writing has always been my strong suit in school and it is amazing to see what kids come up with. The growth in their writing between second and third grade has been huge. A lot of it has to do with the program we use but it also reinforces how much power kids have when they learn how to write. After a writing assessment last week one child asked if he could do a free write then wrote an opinion piece about why we shouldn’t start recess at the wall. After finishing it, he said, “this wasn’t convincing enough. It won’t work.” He is internalizing what we are teaching and learning how to evaluate his own work. That is huge. 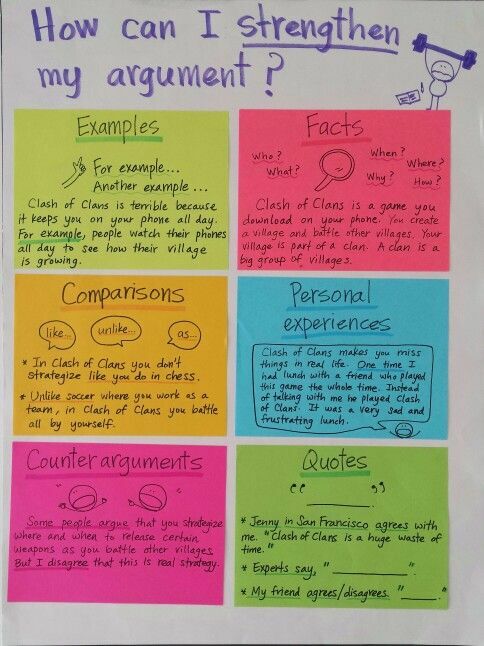 Browsing Pinterest for inspiration, I came across this anchor chart of different ways to strengthen a reason when writing opinion pieces. The bright colored stickies caught my eye. The organized way it’s laid out and concrete examples is something I see myself trying when teaching kids who need help strengthening their reasons. I am excited to try this with some kiddos in my class and beyond!